Armed separatist movements in Papua, East Timor and Aceh have been a serious problem for Indonesia's central government. 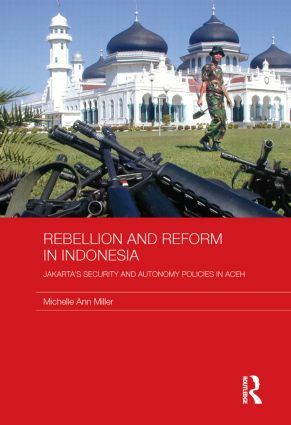 This book examines the policies of successive Indonesian governments to contain secessionist forces, focusing in particular on Jakarta's response towards the armed separatist movement in Aceh. Unlike other studies of separatism in Indonesia, this book concentrates on the responses of the central government rather than looking only at the separatist forces. It shows how successive governments have tried a wide range of approaches including military repression, offers of autonomy, peace talks and a combination of these. It discusses the lessons that have been learned from these different approaches and analyzes the impact of the tsunami, including the successful accommodation of former rebels within an Indonesian devolved state structure and the expanding implementation of Islamic law. New regime, new security strategy?